Yea! Another fun macro shot. I’m really loving this macro photography. Luckily, I have a lens that allows me to play around with it. :) I seem to be getting some better shots lately…although it’s still kinda tricky. I was exploring the yard again today. This time, I was headed over to search Rachel’s sunflower for bugs. She was telling me the other day that she was having a general bug problem, and that got me thinking, “Ooohhh…bugs!”. Unfortunately, there were no bugs today. So I started looking around, trying to find something fun to photograph. Suddenly, I spot an unusually bright spot on the wood fence. 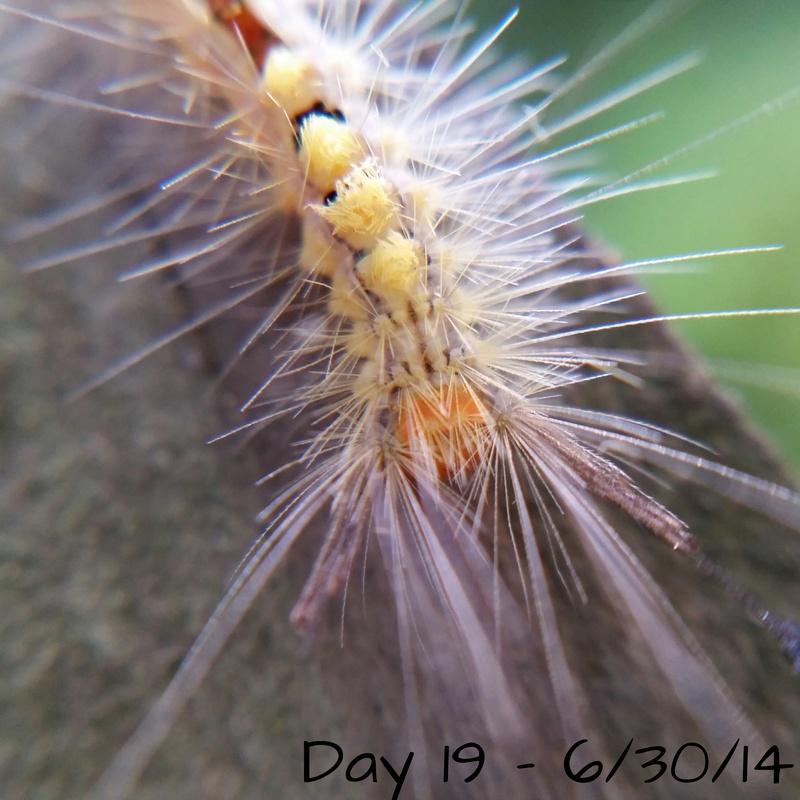 Looking closer I saw him: a funny looking spikey/fuzzy caterpillar.